Collinsworth’s voice was being recorded. The resulting file — which Sunday Night Football coordinating producer Fred Gaudelli calls a “tutorial” — would serve two purposes. It would help Collinsworth prepare to call the Cardinals’ preseason game against the Raiders that weekend. It would also get distributed to key members of NBC’s Sunday Night Football crew, who would try to absorb as much as they could. 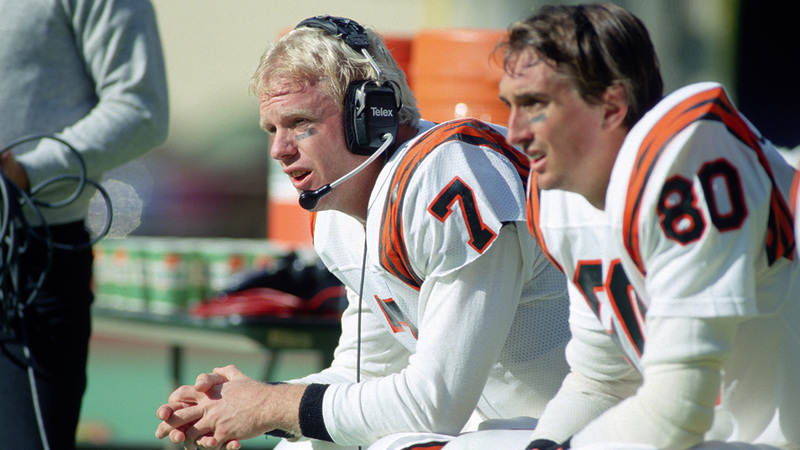 George Gojkovich/Getty Images Boomer Esiason and Cris Collinsworth with the Cincinnati Bengals in 1987. Even then, Collinsworth was fascinated by Howard Cosell. He once attempted an impression in front of the old muckraker; Cosell flattered him and made him a go-to interview. But Collinsworth’s attempt to match Cosell’s dark wit turned sour. “He was doing an interview with me before a game,” Collinsworth said. “He introduced me to his wife. I did an old, standard line: ‘Well, it’s clear you married way over your head, Howard.’ I don’t know if I said it wrong, or he misinterpreted it, but he got incredibly mad.” The two men never spoke again. Collinsworth comes to the booth armed with an arsenal. Freeland wrote the Game Day app as a piece of proprietary software. Instead of the clunky, analog boards analysts have lugged into TV booths for decades, Collinsworth and Freeland can add information on Game Day right up until kickoff. During games, Collinsworth views the data on a 13-inch laptop with a touch screen. The Game Day interface shows each player, often with phonetic spellings (“DAY-own Bucannon”), with one salient fact beneath their names (“1st round dime LB”). When saying Bucannon’s name during a game, Collinsworth might glance at the screen to make sure he’s pronouncing it correctly. If Bucannon does something great, Collinsworth will touch the name to bring up additional information that he and Freeland entered. PFF can provide Collinsworth with a reel of every salient play that Zack Martin or Deone Bucannon participated in. 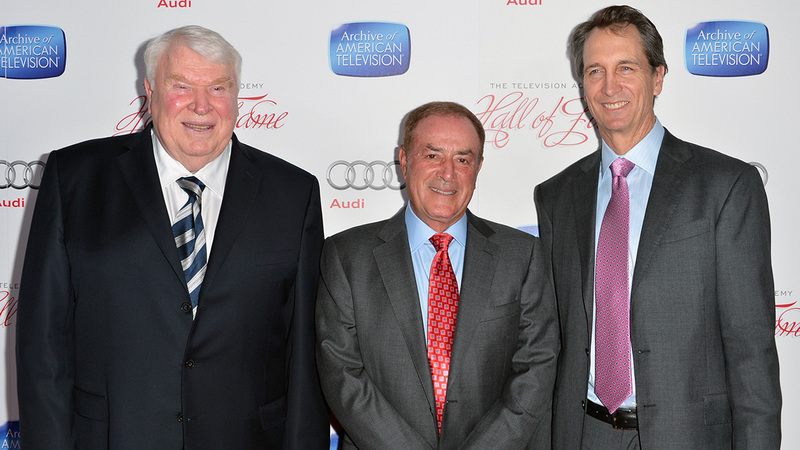 Collinsworth, in turn, tried to lug the company further into the mainstream — to make it prime time. He was an advocate to move PFF from its old grading scale, which assigned players scores ranging from 2.0 to -2.0, to one that graded players from 0 to 100, which he felt was more accessible. 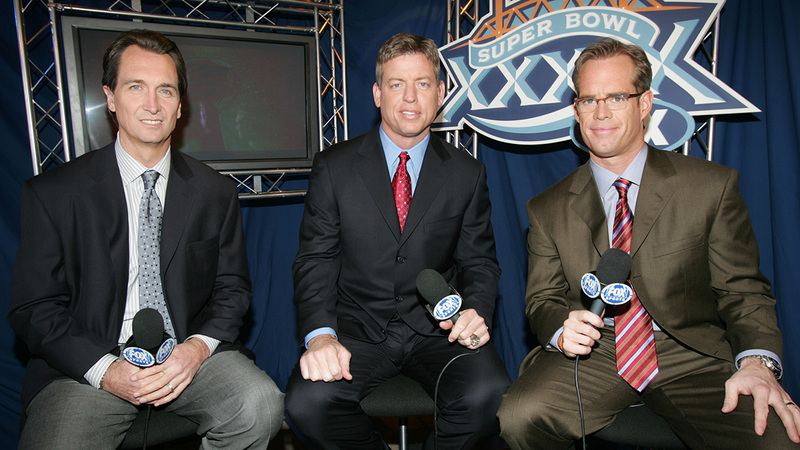 Frank Micelotta/Getty Images Collinsworth, Troy Aikman, and Joe Buck at Fox’s Super Bowl XXXIX pregame show in 2005. 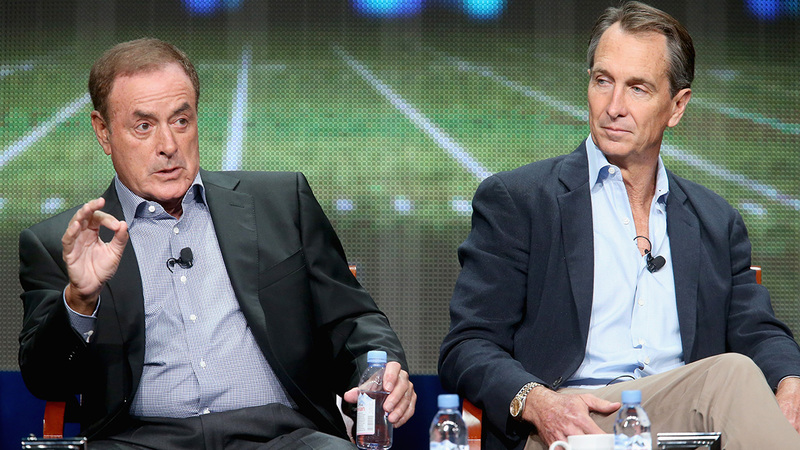 Frederick M. Brown/Getty Images Collinsworth and his NBC broadcast partner Al Michaels.